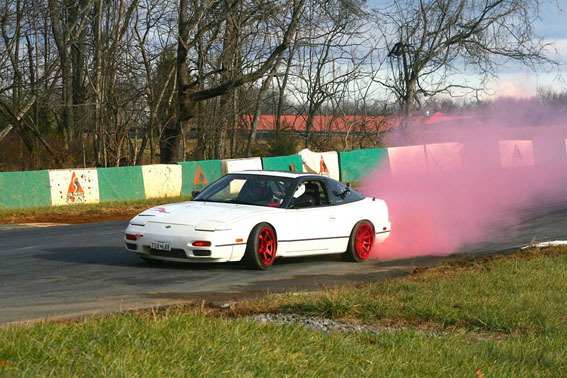 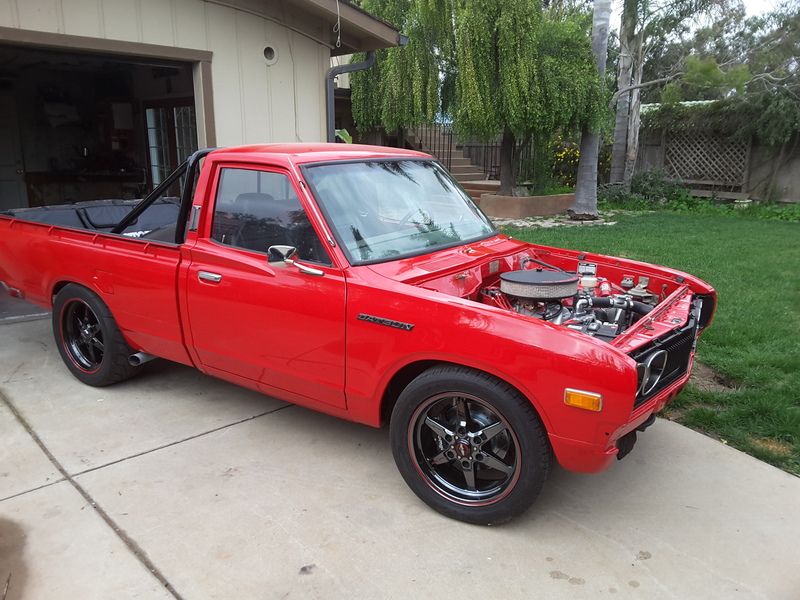 Attention customers: Send us pictures of your car to be featured here! 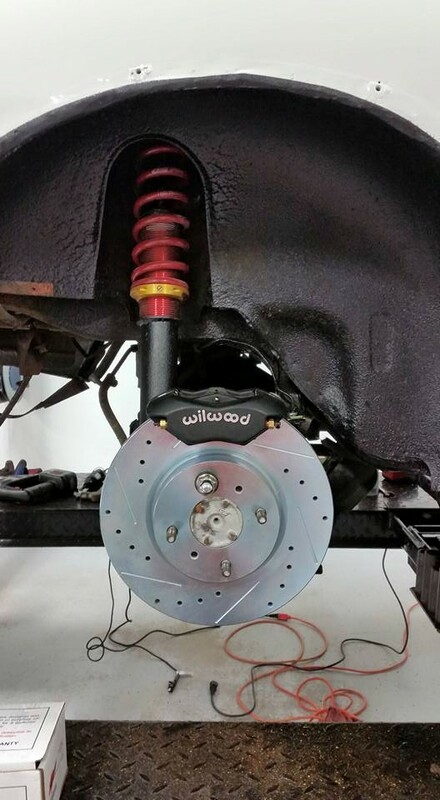 Vegard Graffer representing from Norway just purchased our front track edition brake upgrade, and rear stage 4 brake kits. 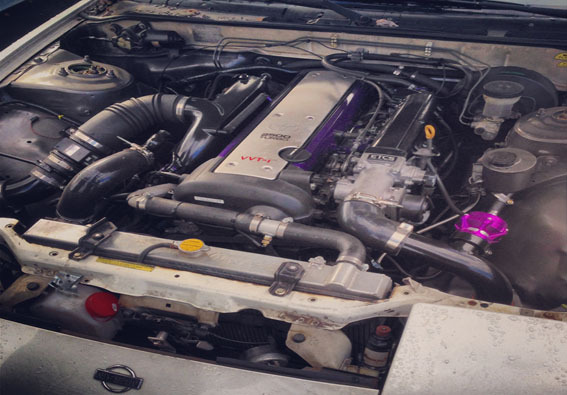 He races his Nissan 200sx S13 drift car with RB25DET engine, Precision 5857 Turbo, standard internals, making 390 BHP and 450 NM of torque. 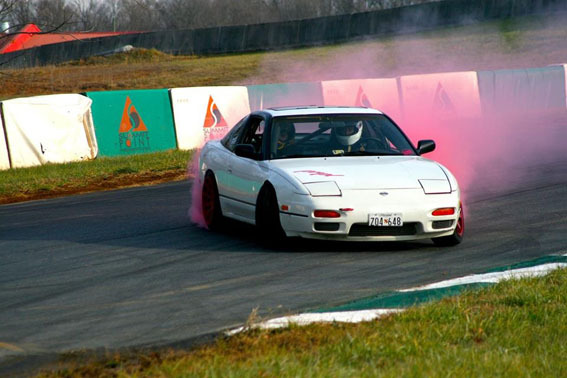 He says “The original brakes were too puny, and got hot, even in drifting. 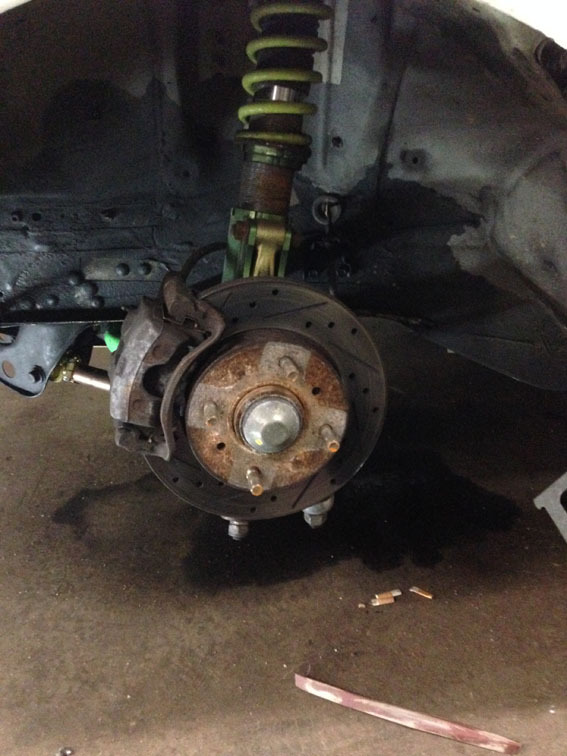 So I wanted to step it up, to get rid of the problem, and to make it look much better, as the original brakes did not look good. 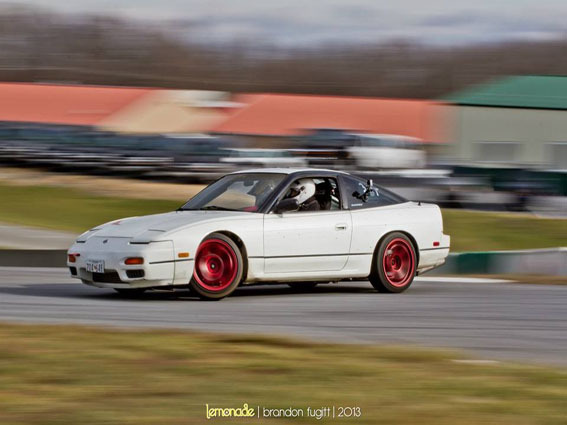 The big brake upgrade kit I got from you guys did the trick, as you can see the kits on some of these pictures. 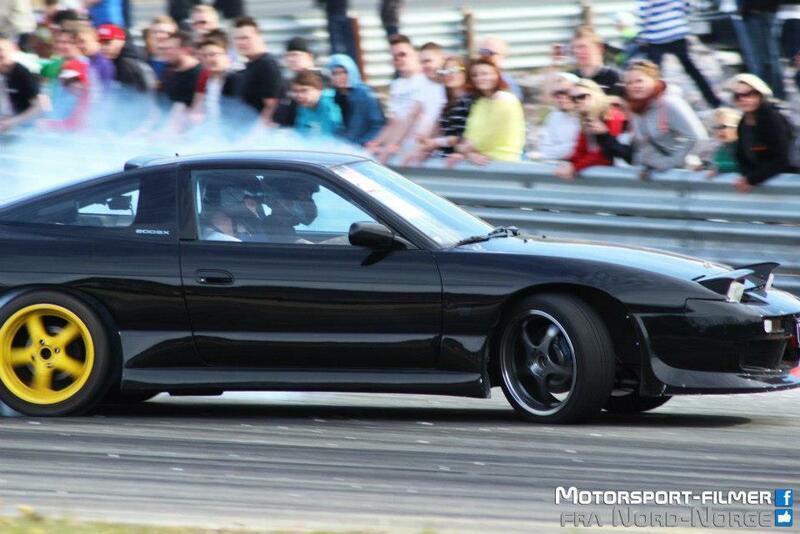 Most of the "in action" pictures here are from Arctic Circle Raceway (ACR) in Mo i Rana, in Norway”. 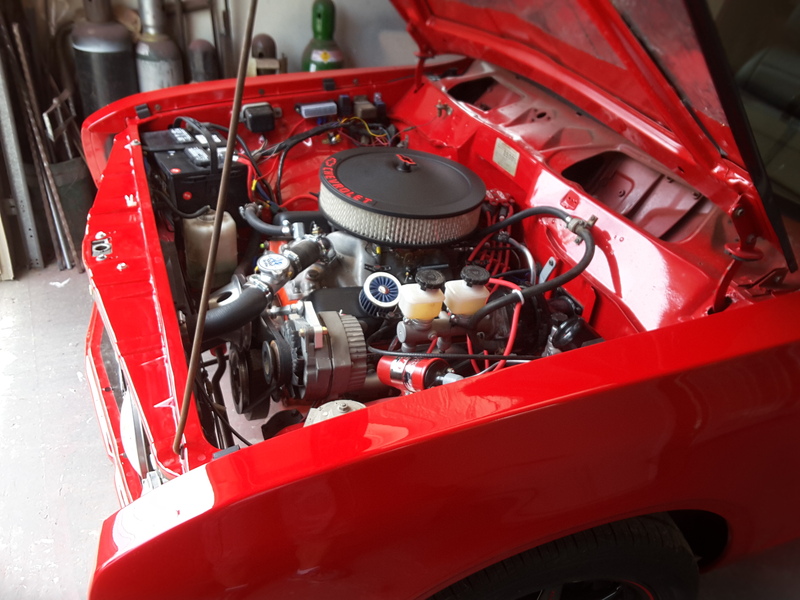 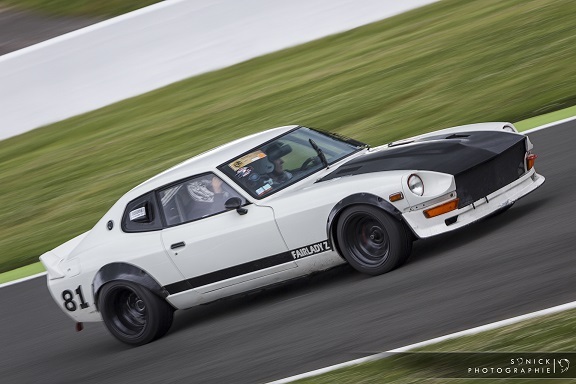 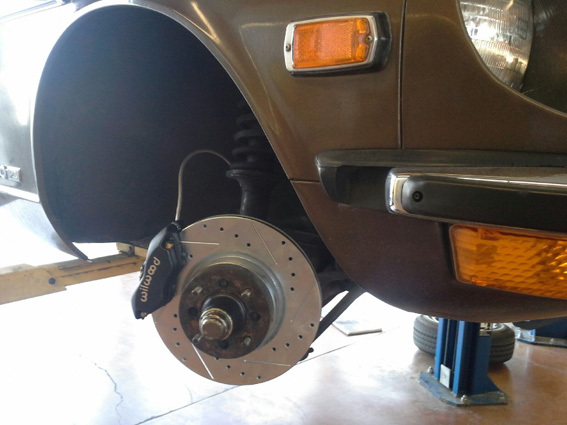 Shaun Maluga from Queensland Australia is running our track proven stage 4 rear brake upgrade on his 1971 240z. 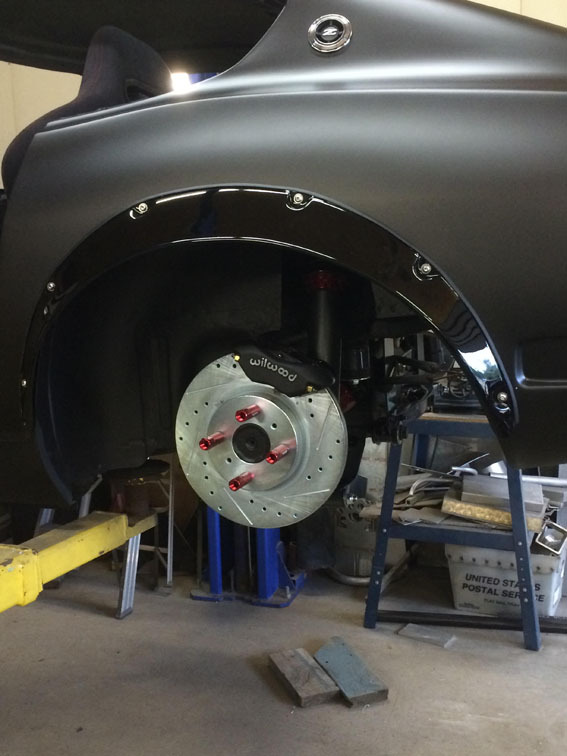 He likes his kit because of the huge difference in braking power and resistance to over heating. 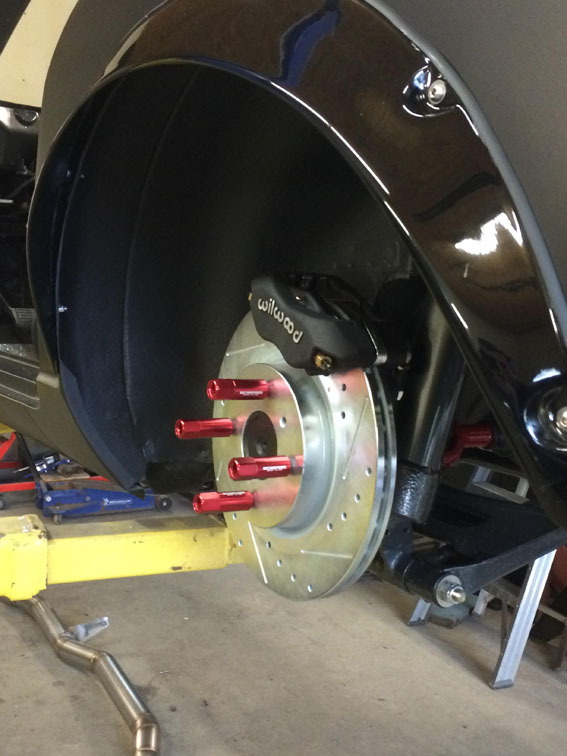 Also substancially more realiable than the stock drum brakes that needed constant adjustment. 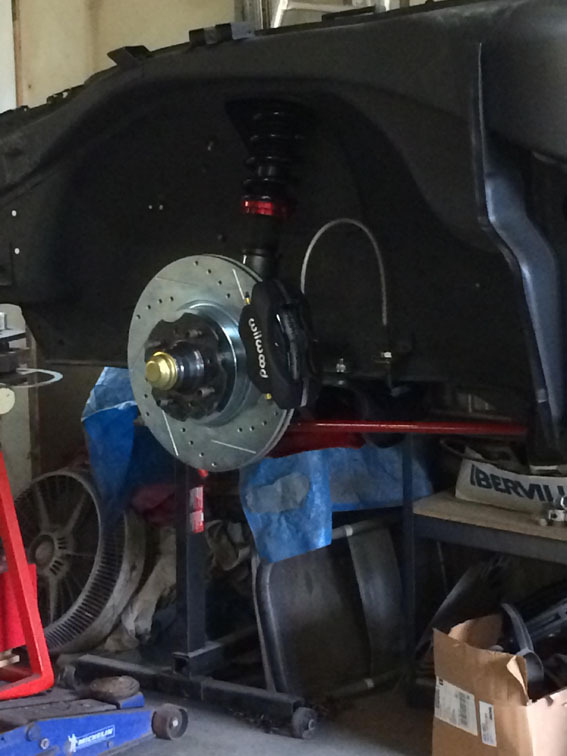 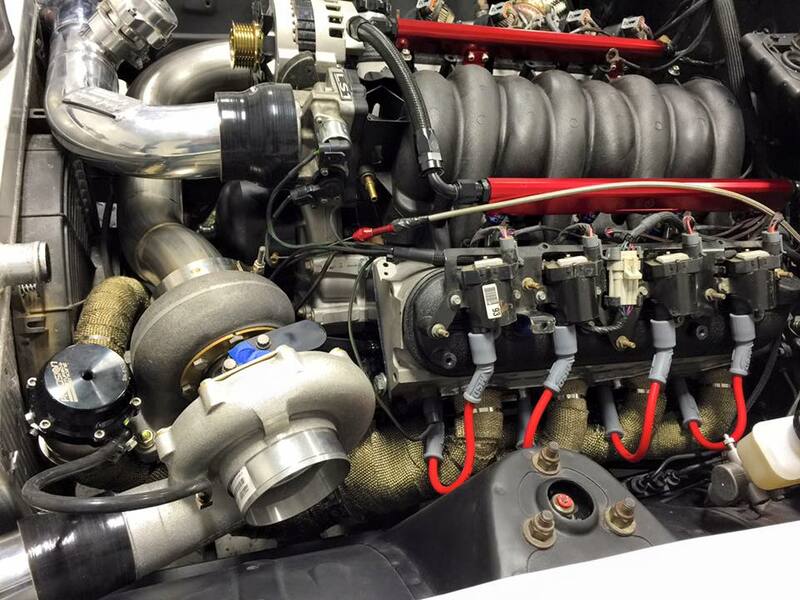 Michael Herrera is running our stage 4 rear brake upgrade on his 1000rwhp 370ci twin turbo 66/65's LS powered 280z. 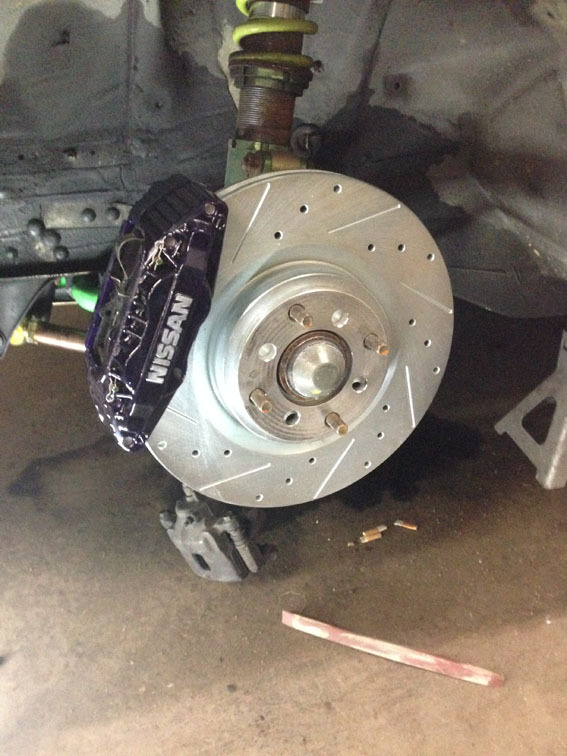 He was amazed at how much faster his car could stop with our brake upgrade. 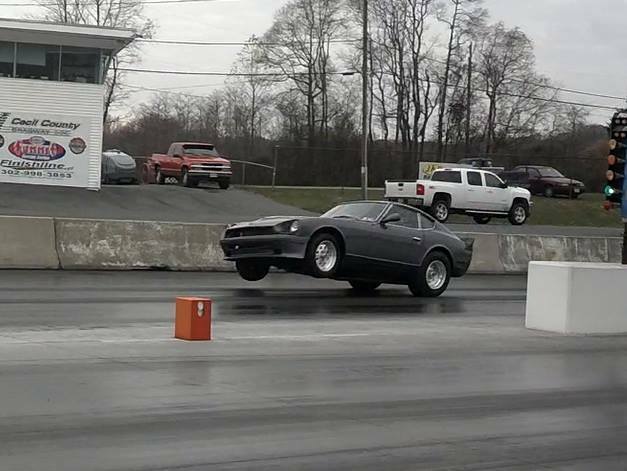 He is now very confident in his brakeing system and is not worried about taking his car closer to it's limits. 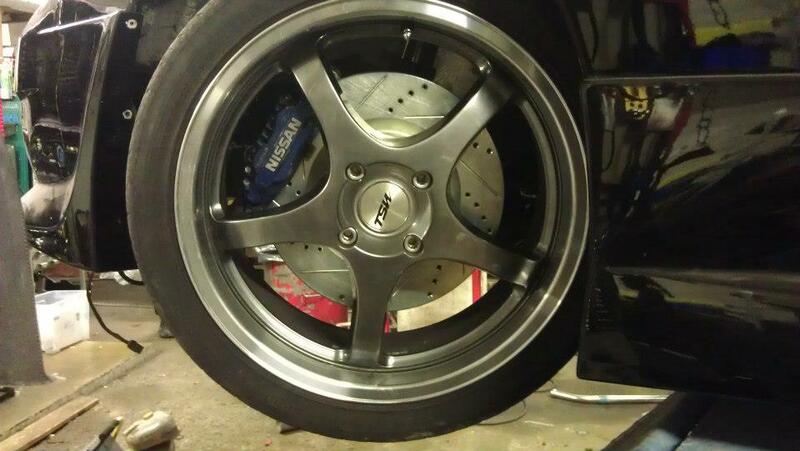 Also likes that the E-brake can easily lock his rear wheels. 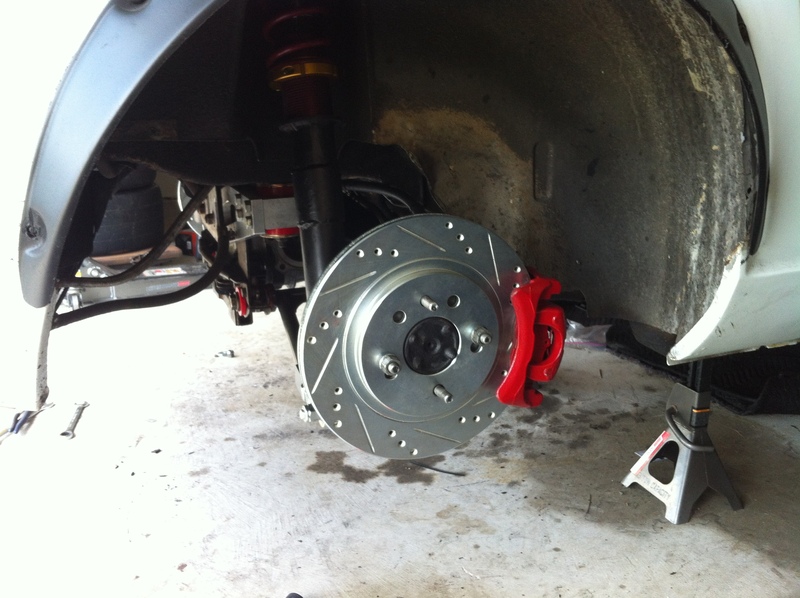 Another Norway rally car with our Front Stage 4 Brake Upgrade. 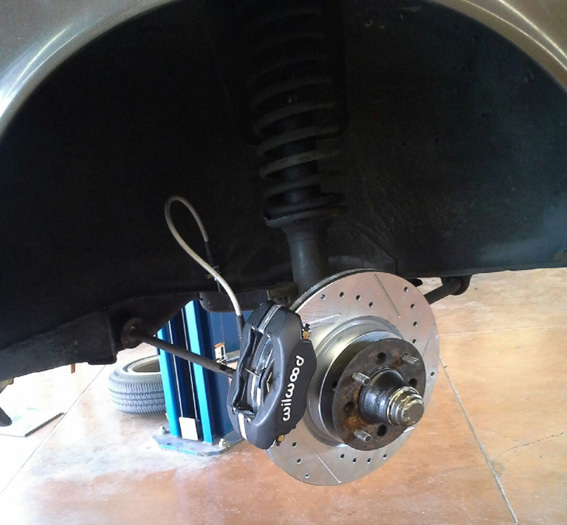 Eyvind says that the kit has exceptional power and is very hard to experience brake fade. 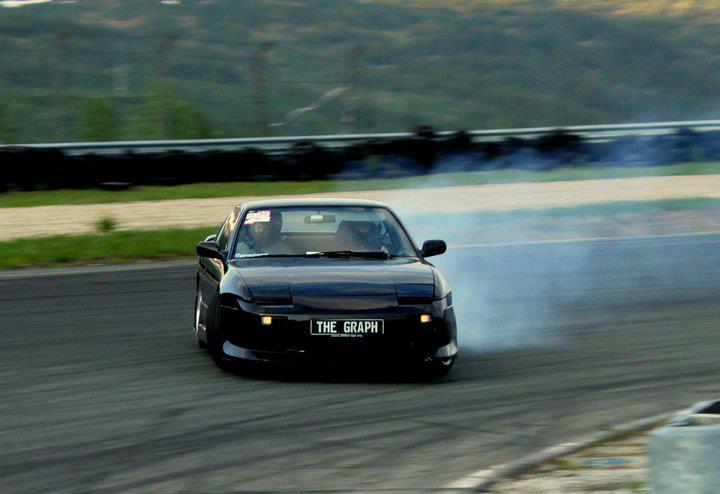 Even as he comes down from multiple straight aways at over 200 KMH before griping throu a turn. 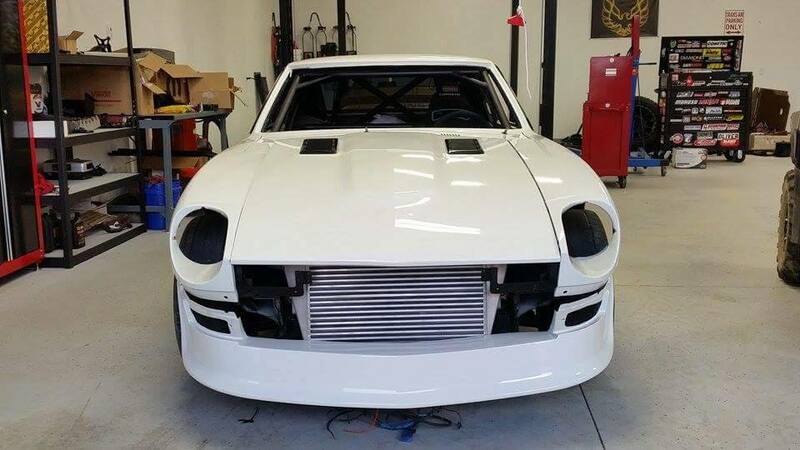 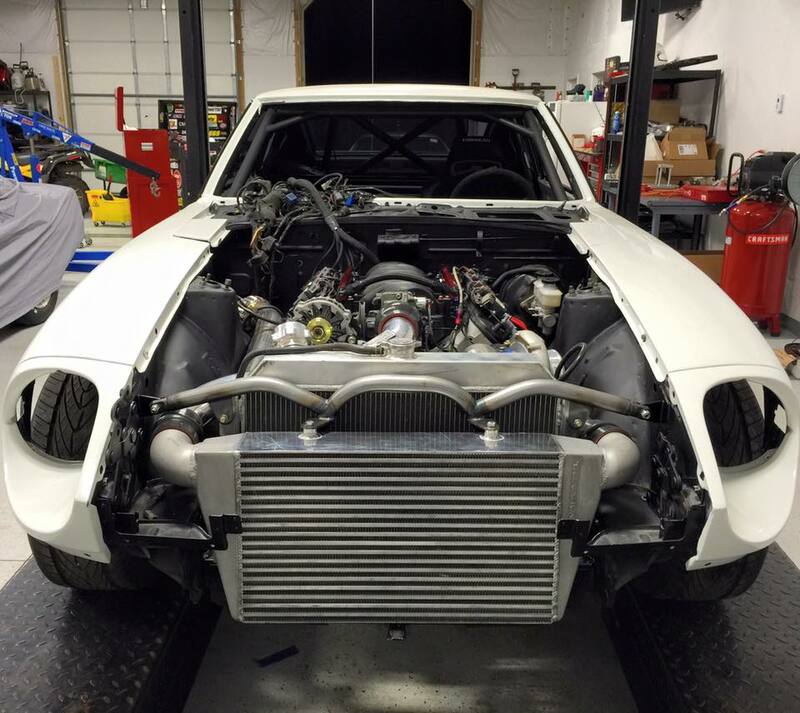 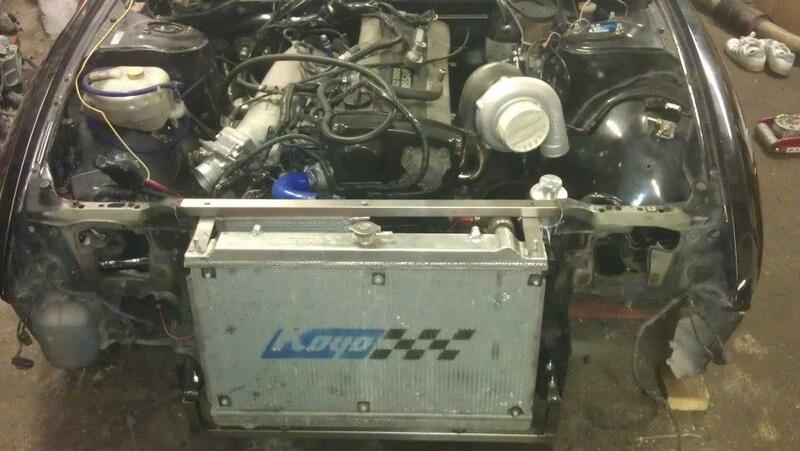 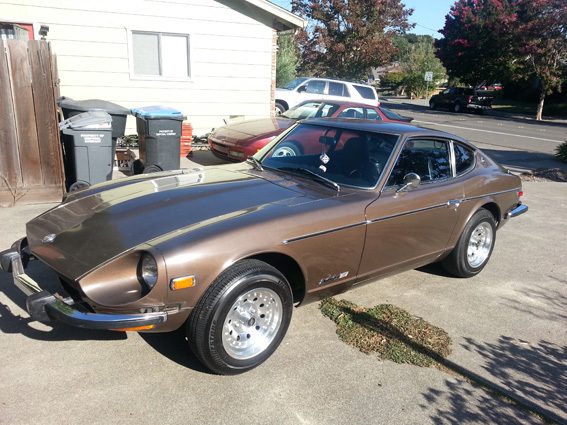 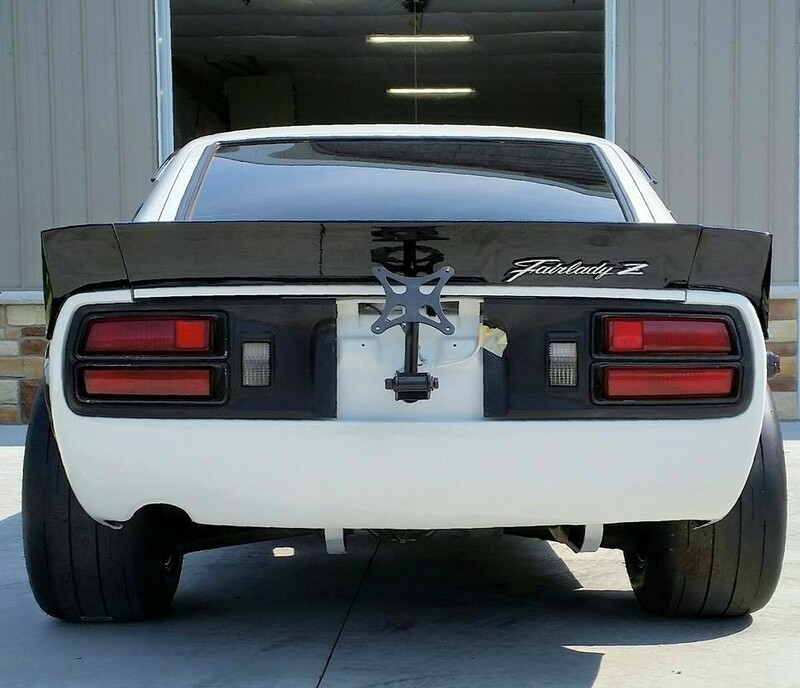 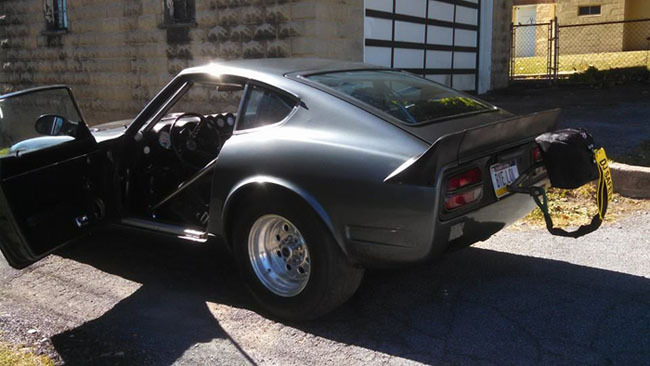 Our friend Lance is using our Front 5 lug conversion Hubs on his drag 240z with 1100 HP! 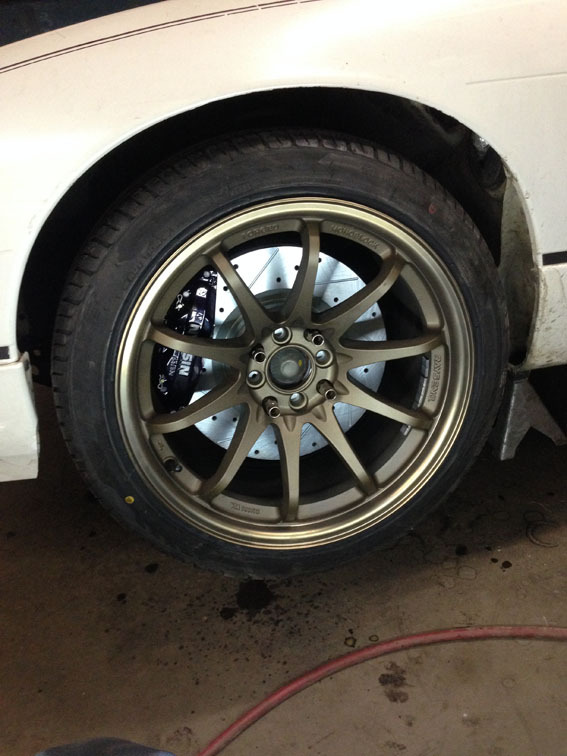 He had his sights set on a pair of wheels that only came in 5 lug bolt patterns. 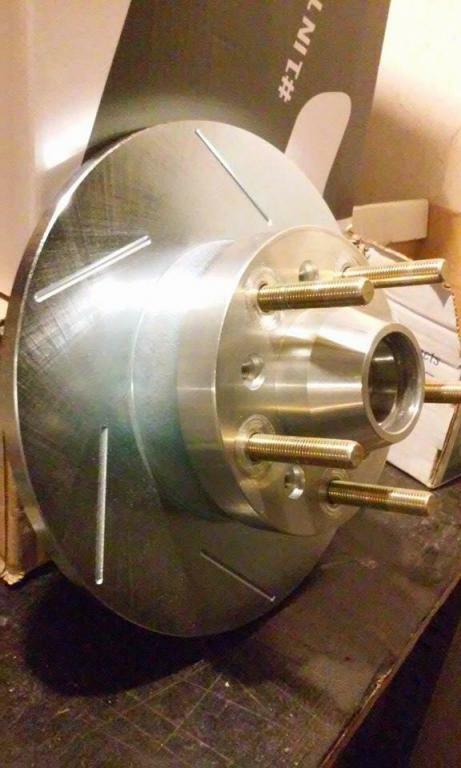 Our Custom made hubs made everything bolt on! 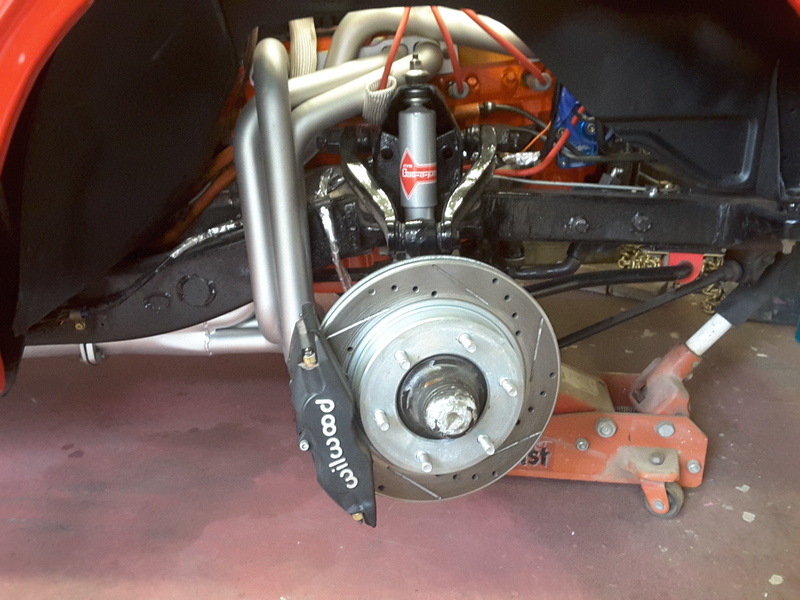 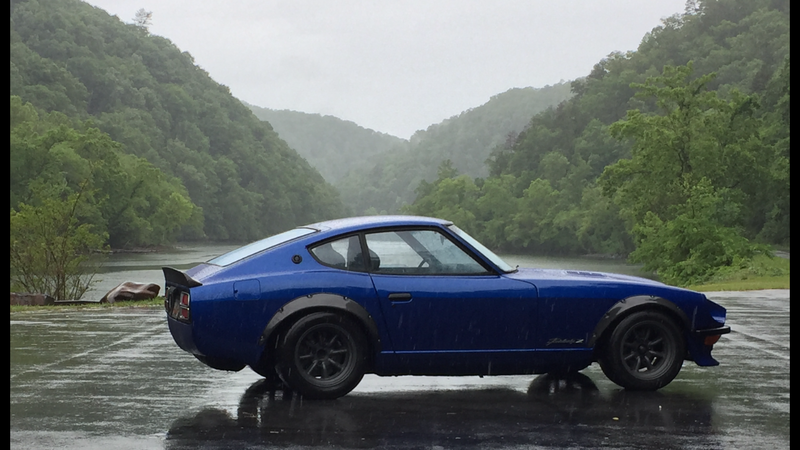 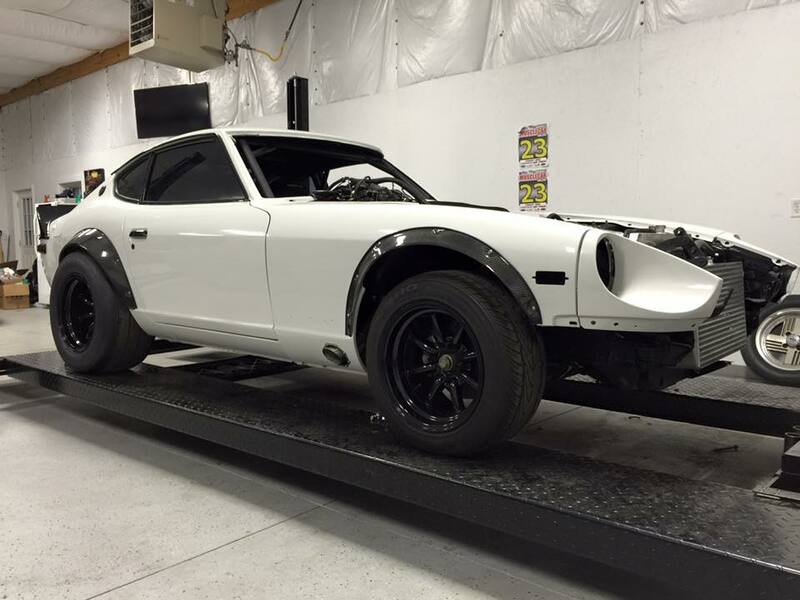 Here's Davids 240z with our front and rear Wilwood Dynalight caliper brake upgrades.